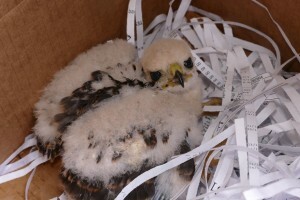 Cooper’s Hawk – Gilson Gardens, Inc.
A baby Cooper’s Hawk fell out of the nest in our Dawn Redwood behind the store! John Pogacnik, Lake Metroparks Biologist, stopped by and helped Mark get it back into the tree. 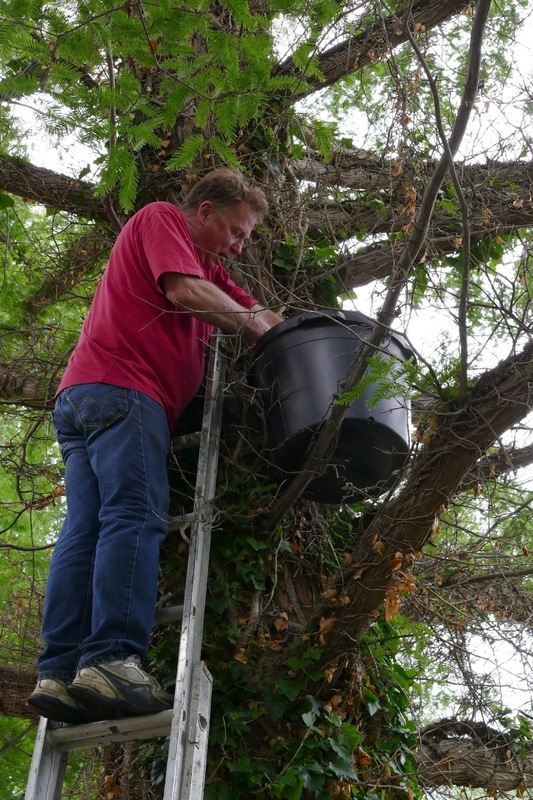 The nest is about 70′ high, so we put it in a soil bucket and nailed it to the tree as far as the ladder would reach. John says the Mother Hawk will still feed it and nurture it.